Spider-Man on a convenient collapsible water bottle! This Spider-Man 12 oz. 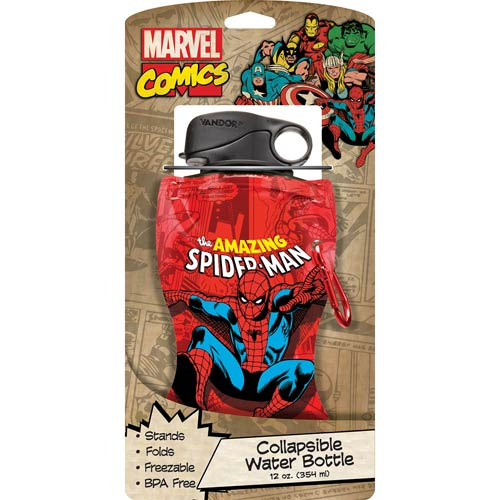 Collapsible Water Bottle features Marvel's wall-crawling webhead below The Amazing Spider-Man logo on a collapsible water bottle with cool red classic Spider Man comics design. Great for kids, the collapsible water bottle is made of soft plastic, and when it's empty you can conveniently stuff it just about anywhere! Plus, it comes with a carabiner key chain so you won't lose it. Holds up to 12 ounces.